Timing can be everything when it comes to food. This summer we’re experiencing a number of timing issues, just as we do every other summer. The first timing issue is getting too much food to process at one time. We finally had success growing cantaloupe this summer and had planned for the fruit to grow at a rate that would allow us to harvest a little cantaloupe at a time. The squash vine borers that killed all three of our cantaloupe vines had a different idea. At first I thought that the cantaloupe was a complete loss because the cantaloupes weren’t full sized. However, after waiting for a while, we found that the cantaloupes ripened just fine on the vines—they’re just a little small. Unfortunately, they all ripened at the same time. We saved some for eating now, but Rebecca is busy pickling the rest so we can eat them during the winter. The point is that when you get an overflow of items, try to find a way to quickly preserve them of later use. Before I get a number of e-mails about potentially swapping the cantaloupes with other people, the cantaloupes were indeed small and not quite as flavorful as we would have liked. Pickling them made up for these deficiencies. I only trade high quality items with other people because I expect them to do the same for me. There are pesticides I could have used to prevent this problem, but Rebecca and I don’t believe in using pesticides except as an absolute last choice. 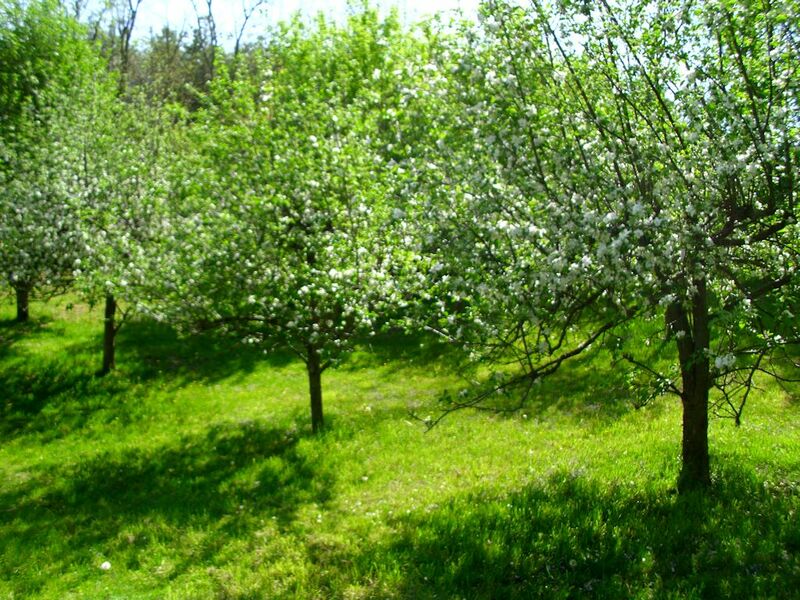 In this case, we would have had to preemptively applied the pesticide in order to prevent the damage (one day the plants were fine, the next they were dead). We won’t do that because of the potential damage to the pollinators and the contamination of the food. Meanwhile, some people have given up on their tomatoes this year because they simply didn’t want to grow in the combination of high heat and lack of water. With the short rainstorms we’ve had, the addition of lightning, and some good irrigation, our tomatoes are finally taking off. Yes, we’ll get the tomatoes late in the season, but the weather service is predicting a warm fall, so the choice to keep our tomatoes turned out to be a good one. Sometimes you have to be patient and wait for the right conditions to happen for your plants. Unfortunately, it appears that a number of other items are also going to ripen late, so I foresee having to juggle more than the usual number of late season processing needs this year. In fact, we may have to ask for a little neighborly help to make everything work out right. Our okra is producing slowly, but consistently this year. In fact, I think this will turn out to be one of the best years we’ve ever had. However, the slow intake of okra is causing us some problems because we had decided to pickle some of our okra this year and there isn’t enough okra at any given time to pickle. The solution for this problem is to gather the okra each day and freeze it. When we have enough okra to pickle, we’ll defrost the entire lot, and get the pickling done the same day. I’m thinking that we’ll notice a small loss in quality, but probably not enough for anyone else to notice. Timing is an essential part of planning the garden, the harvest, and the food processing. Your garden is unlikely to know or care about your plans, however, so you have to remain flexible. When you encounter a problem of too much, too little, or not enough at the right time, think about solutions that will help you overcome these problems, rather than fret over a situation you can’t change anyway. Let me know about your garden timing issues at John@JohnMuellerBooks.com. Every gardener faces the eventual problem that can’t be easily solved by talking with friends or looking online. This year presented one of those problems for us. We have big okra plants that aren’t producing any pods. Yes, there are a lot of flowers, but they aren’t producing anything. Instead, the flowers are opening, shriveling back up, and then dying as shown here. 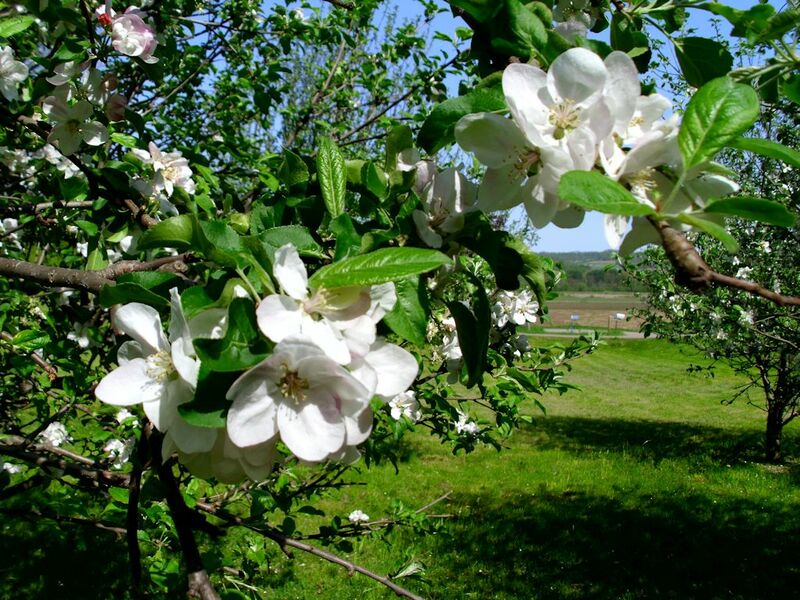 You can see two flowers in this picture—both of which have dried up without producing fruit. All five of our okra plants are precisely in the same condition. They’re all nice big plants, but nothing to show for an entire summer’s worth of growth except some exceptionally beautiful leaves and dried flowers. 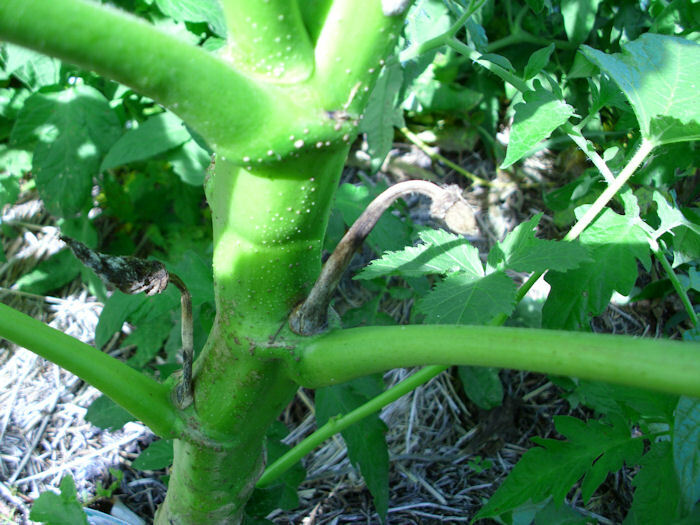 According to any number of sites, okra is self-pollinating in many cases. However, many of these sites also indicate that there hasn’t been any study done of the pollinators for okra and their effect on the plant. When I first noticed this problem, I spent time on a sunny day observing the plants carefully. A number of pollinators visited the plants, so it seemed at first that the issue isn’t one of pollinators. However, I also noticed something else. On every other year, the okras in our garden are infested with ants. This year, there is not an ant to be found anywhere near our okra. A number of sites seem to indicate that the ants have no purpose for okra, but everyone complains about them. Now I’m starting to wonder whether the ants are pollinators or somehow help the plant in other ways. The okra certainly seems to put out a nectar that attracts ants like crazy. The only other change in that particular part of the garden this year is that the patch has tomatoes in it. The okra is growing in row 4 of that patch and the tomatoes are growing in rows 1, 2, and part of 3. Last year, the okra was in row 1 of the same patch. Checking for relations between okra, tomatoes, and ants online proved fruitless. In short, there is no quick or easy answer for this particular problem except to say that it exists. Our summer has been hot enough for the okra to grow quite large, so I’m sure it’s not a problem with heat. The okra has also been mulched and watered, so moisture isn’t a problem. Because the okra has been moved to a new row and that patch also received a nice layer of new mulch this past spring, it can’t be nutrients. I’ve checked the flowers and each one is producing the same amount of nectar as normal. I keep coming back to the lack of ants or some deleterious effect of putting tomatoes and okra in close proximity. If anyone else has a thought on this issue, please contact me at John@JohnMuellerBooks.com.